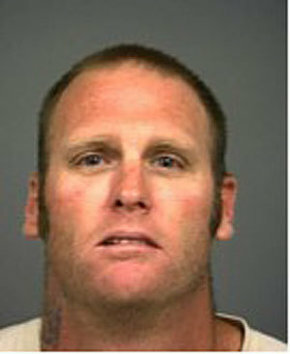 Police arrested a 34-year-old Oceano man Monday morning who allegedly fled the scene of a traffic accident two days earlier which left a motorcyclist injured on a Grover Beach roadway. Jason W. Wallin was taken into custody following an investigation by Grover Beach detectives and officers, according to Lt. John Peters. Authorities said the incident occurred Aug. 27 in the 800 block of Grand Ave. at about 8 p.m., when Wallin’s pickup truck and the motorcycle collided. The motorcyclist, Randall R. Queen, 55, of Porterville, suffered what were described by police as “moderate to severe” injuries and was transported to Arroyo Grande Community Hospital. Wallin was booked into San Luis Obispo County Jail on a single count of felony hit-and-run, and remains there today pending the posting of $50,000 bail, according to Peters. I always wonder why people flee… I mean, there’s at least one witness (unless the truck driver thought the biker killed). Some people are just high on crack when they steal a police car, but I’m not saying drugs were involved here.